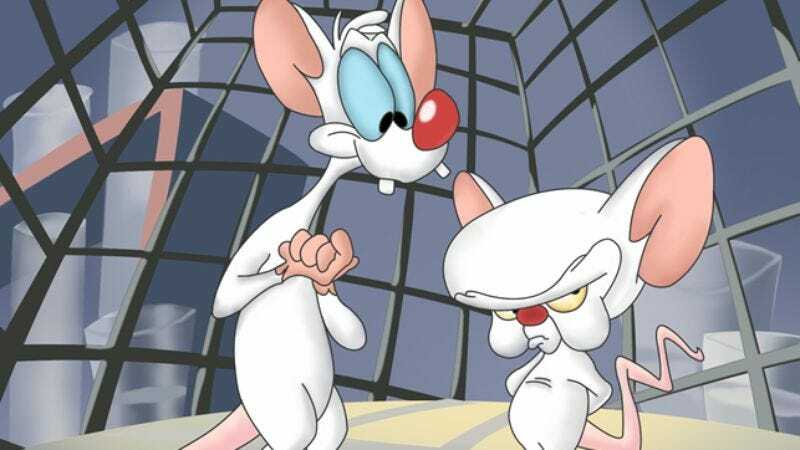 Yes, they’re Pinky and the Brain. Pinky, and the Brain. One is a genius, and the other’s insane, until the genius finally gets fed up and goes kind of insane, too, screaming obscenities at his longtime partner. This video—with animation by Tumblr user Kaiko-Art, and produced by Doug Walker as part of his staggeringly vast network of “That Guy With The Glasses” online shows—features original Pinky and the Brain voice actors Maurice LaMarche and Rob Paulsen. And as you’ll see, they still have perfect grasps of the character’s voices, even while letting loose with a profanity-laden tirade. The result is wonderful catharsis for all those times Pinky drove Brain to distraction with his inane comments (even if we all know that, secretly, Brain’s failures owe more to self-sabotage than his companion’s well-meaning ineptitude).